In my last post about hunting for wild mushrooms I told you that in the mid 1980’s I owned a country house in northern Italy. 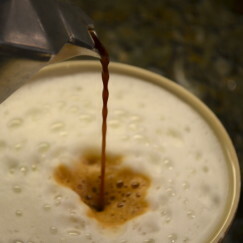 That got me thinking about a habit I formed during my days living in Italy: a Cappuccino habit. In those days the only people who had heard of Starbucks Coffee lived in Seattle, Washington, where, at that time, Starbucks’ one and only store was located. I grew up in a Spanish household where we drank Espresso after dinner, but I had never heard of Cappuccino or Caffé Latte until I started going to Italy. In Italy, every working person starts the day with a visit their favorite neighborhood bar, where they partake in the morning ritual of coffee consumption. Consuming morning coffee standing at a crowded bar is part of Italian culture, and is taken quite seriously. Bars in Italy are very much a part of Italian social life. They open early in the morning and serve coffee and morning pastries to patrons on their way to work. Neighborhood bars are a favorite place to pick up a Panini at lunch time, and in the evenings Italians stop in for an aperitivo before dinner. Then, they may even stop in later that same night during their traditional Passigatti (evening stroll). 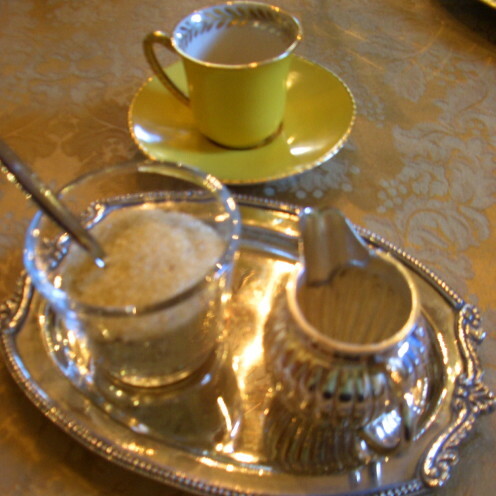 However, our Italian country home was located some distance out of town, so we prepared our morning coffee at home, using the traditional Macchinetta. and have become quite expert at the art of Cappuccino making. So, when one of my girlfriends asked me recently to go to Starbucks with her for what she calls her “morning fix”, I invited her to my kitchen instead. This is where I showed her how she could save $1,000.00 a year by making her own “morning fix.” I figure her $3.00 Cappuccino costs her at least that much over the course of 365 days a year. I’d prefer to save that money toward a trip to Italy, where I can really get a morning fix. 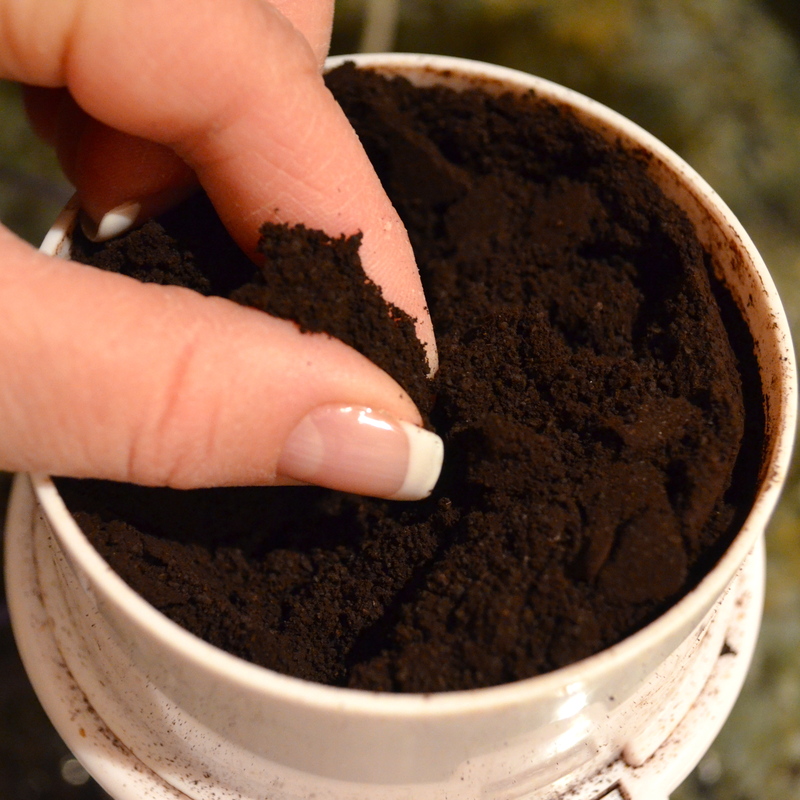 So, in an effort to help you save money too, I thought I’d share with you how I start my mornings, and give you a little lesson in how to make cappuccino. Now, I don’t have anything against Starbucks. 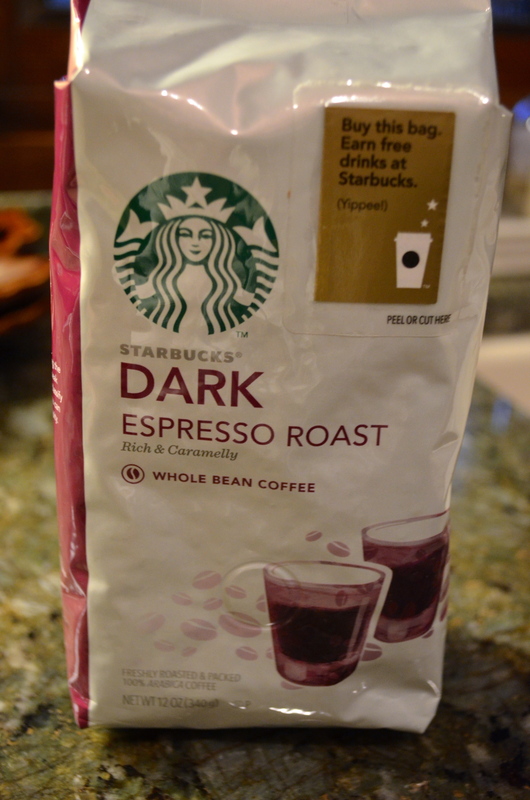 In fact, having tried many brands of espresso beans, I prefer the Starbucks brand, so I purchase their whole beans for $6.99 a bag at my local grocery store. One 12 oz. 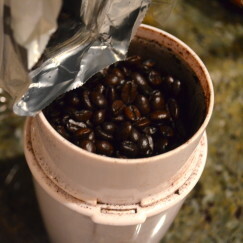 bag of beans will last me a month, so I figure I spend less than $100.00 a year on coffee beans. 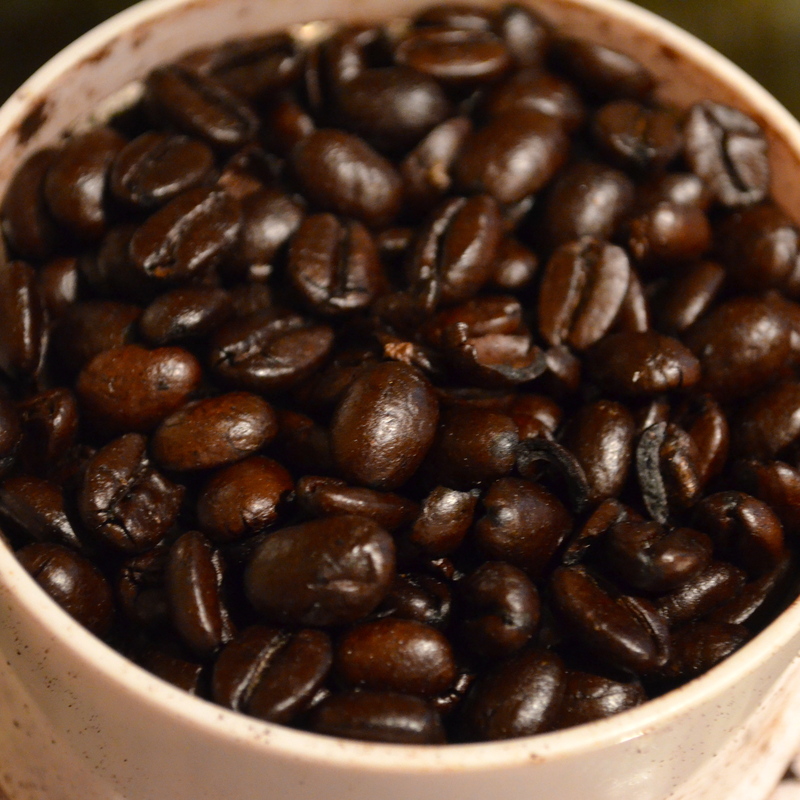 I like to grind my own beans, as the coffee tastes so much fresher that way. Because I like to brew my coffee very strong, I grind the beans to a very fine consistency. 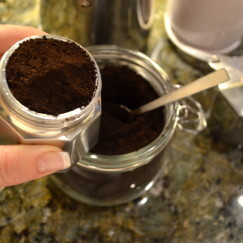 If you don’t have a coffee grinder of your own and you prefer to have Starbucks grind it for you, this particular method is called “turkish grind.” If you prefer your coffee less strong, simply ask for the espresso grind. 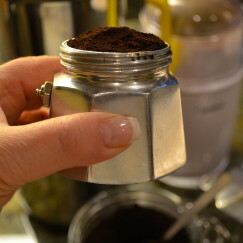 I grind enough coffee to fill my little air-tight jar and that lasts me about a week. 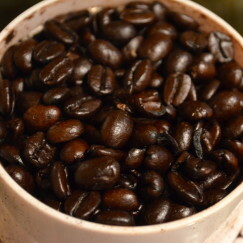 The coffee stays fresh that long, and this way I don’t have to spend time grinding beans every morning when I’m craving coffee in a hurry. 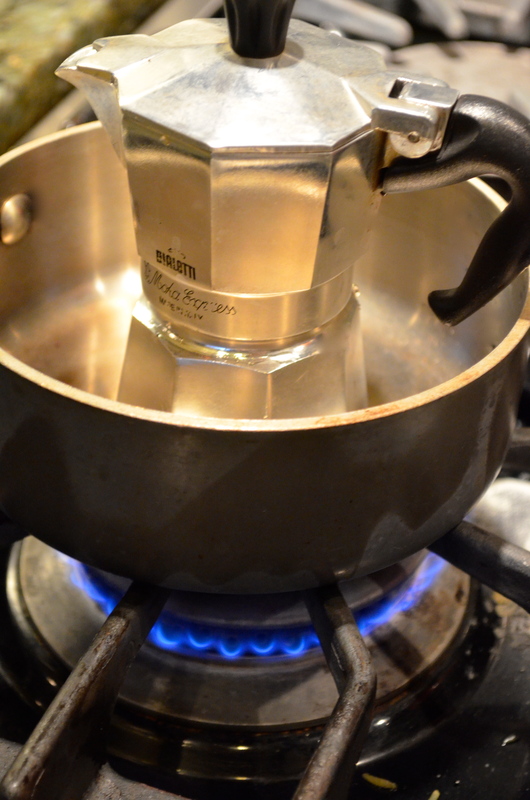 I then get out my coffee maker, (a macchinetta in Italian), and fill the bottom vessel with water, just up to the steam release valve on the side. 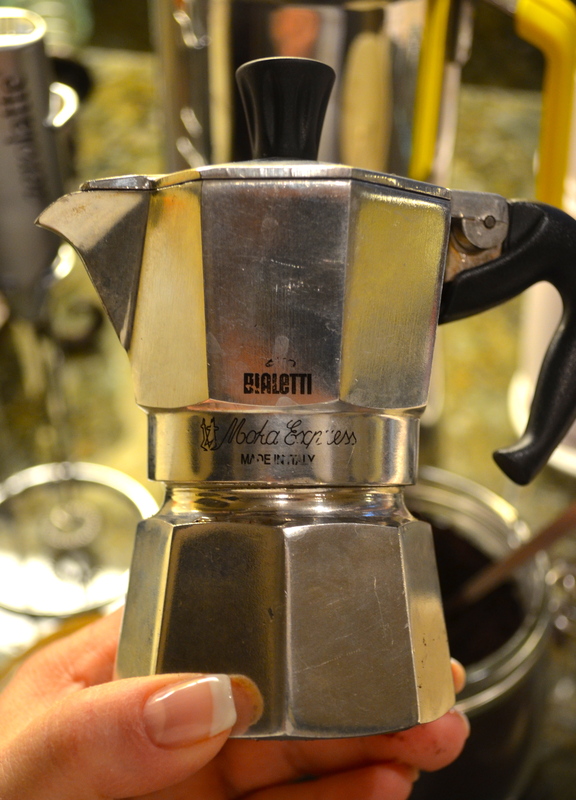 By the way, I buy my macchinettas here at Bialetti.com. The next step is to place the filter section into the lower water chamber and fill it heaping full of coffee, but do not pack the grounds down. 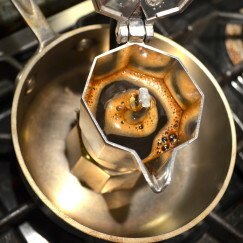 Then the top is screwed on tightly and placed on the stove to percolate. 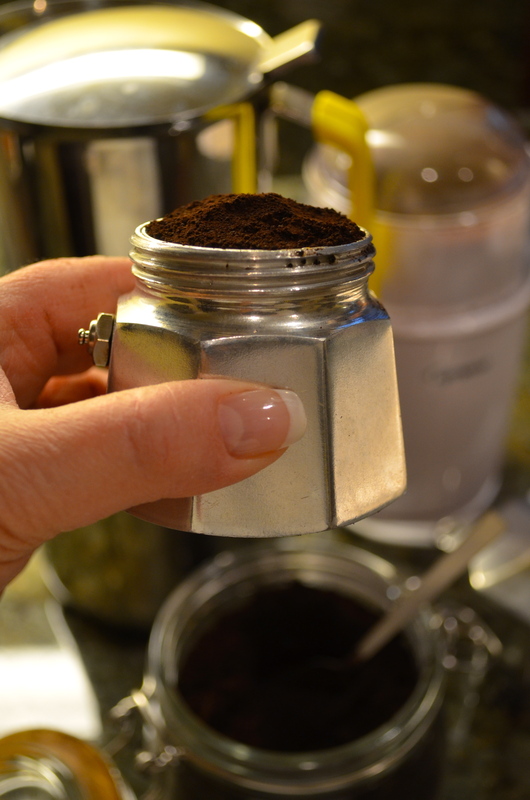 I use the 1 cup size Bialetti Mocha Express when I am making one Cappuccino for myself . The pot is so small that it does not fit on the grates of my stovetop. So I have a special little pot that I place it in to brew. 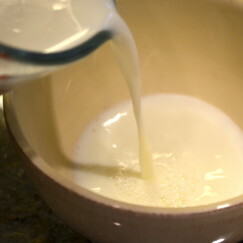 I turn the flame on low and go prepare my milk. 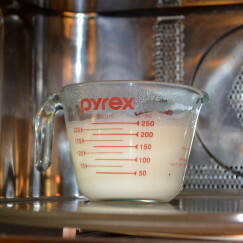 There are a number of ways to prepare the milk. 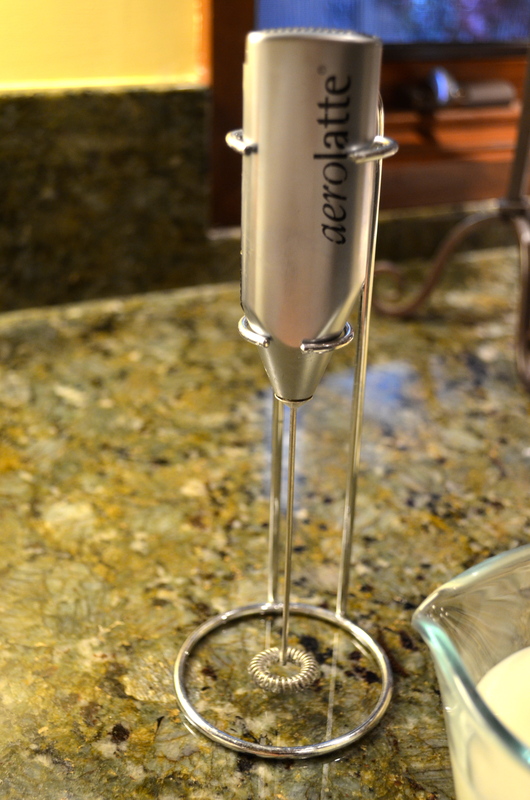 I own one of these Nespresso Brand milk heater/whipper thingies. To tell you the truth, I don’t like it much. 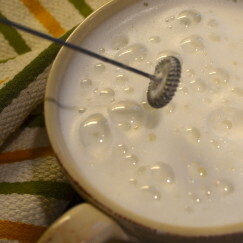 The little whipper thing inside tends to go flying out, it often overflows if you put too much milk in it, and, in my opinion, it does not bring the milk to the proper whipped consistency. It also costs about $99.00. 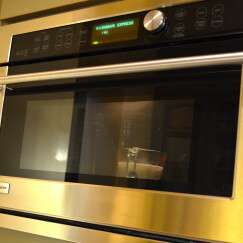 Instead, you can simply heat the milk on the stove, steam it in a real espresso making machine, or do as I do and heat it up in the microwave. 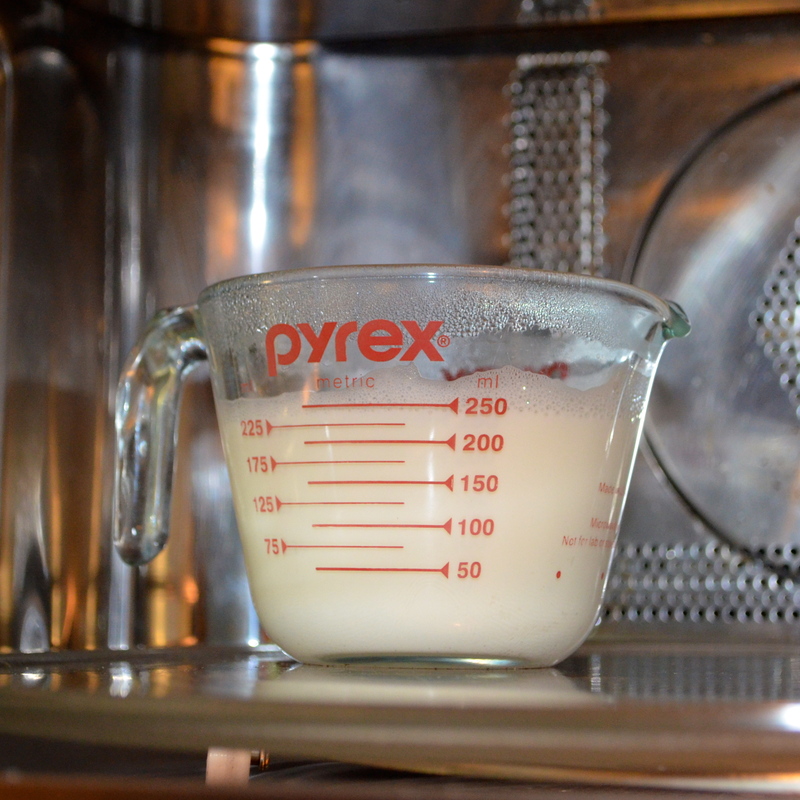 I use 1 cup of milk and heat it for 2 minutes in the microwave until it just starts to bubble. Then, I get out my handy-dandy milk whipper. They sell a good quality one at Crate and Barrel here, or a lesser quality one at IKEA. 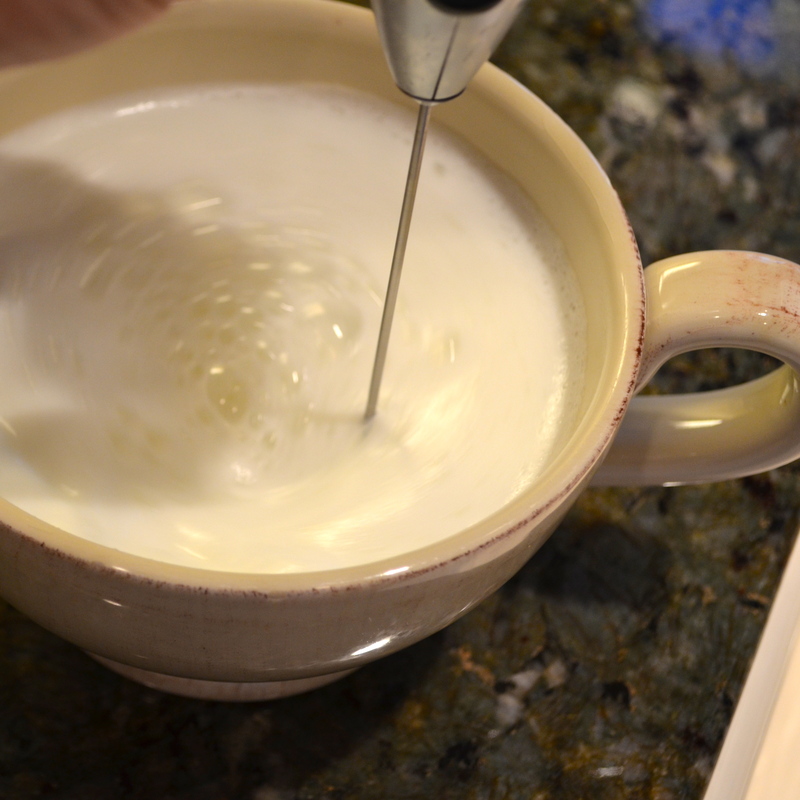 I pour the heated milk into a large cappuccino cup and begin whipping my hot milk. In the meantime, as my coffee is brewing, I listen for a gurgling sound made by the boiling water as it pushes up through the coffee grinds and into the upper chamber of the pot. 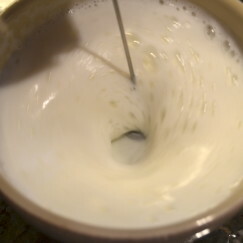 When all of the water has percolated and the upper chamber is full, I pour it into my hot, whipped milk. 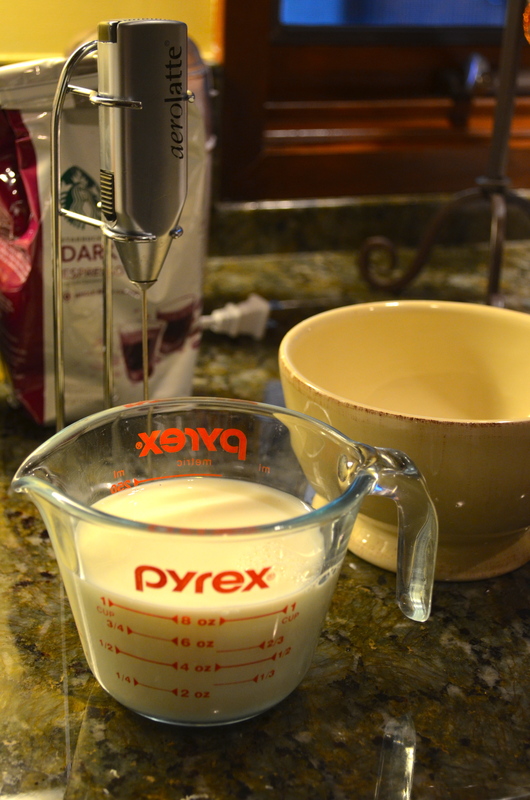 I try to pour the coffee into one spot in the middle of the milk. After all, you don’t want to dirty up your whipped milk. Now it’s time to enjoy a very delicious cup of cappuccino. 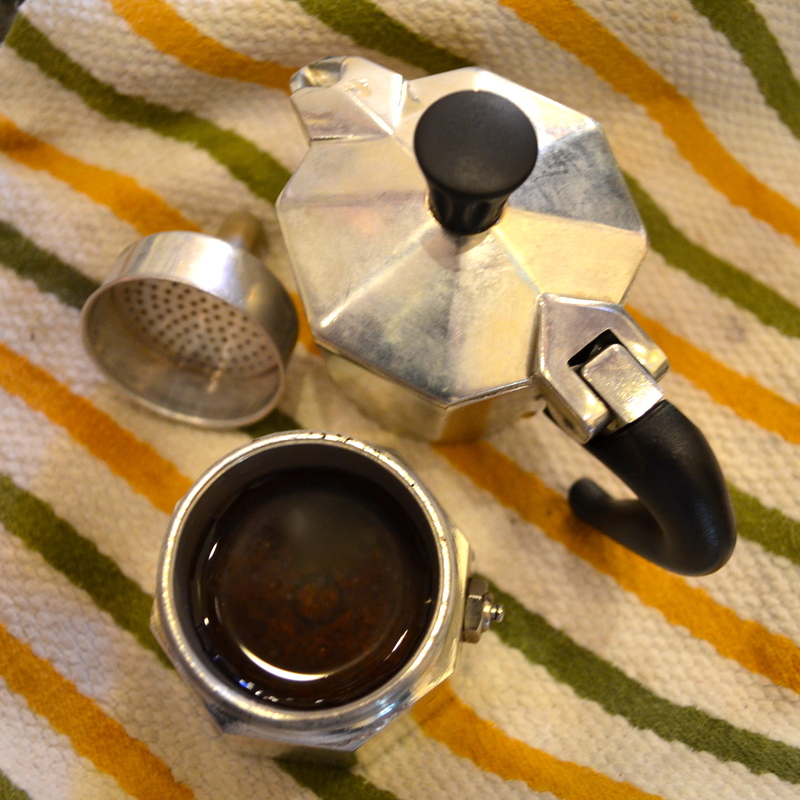 I did want to mention, however, that there are many ways to enjoy good coffee at home. I actually own a number of different coffee brewing systems and enjoy them at different times and use them for different purposes. I don’t own one of those super-duper espresso machines that have a built-in milk steaming system. 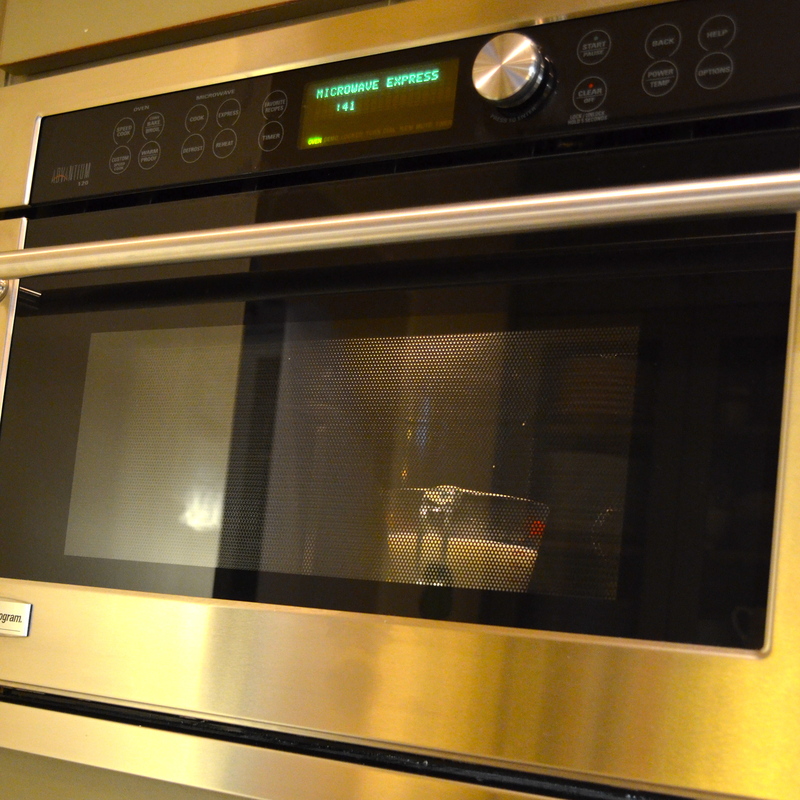 However, I do own a variety of coffee brewing systems that I keep in an appliance garage in my kitchen. 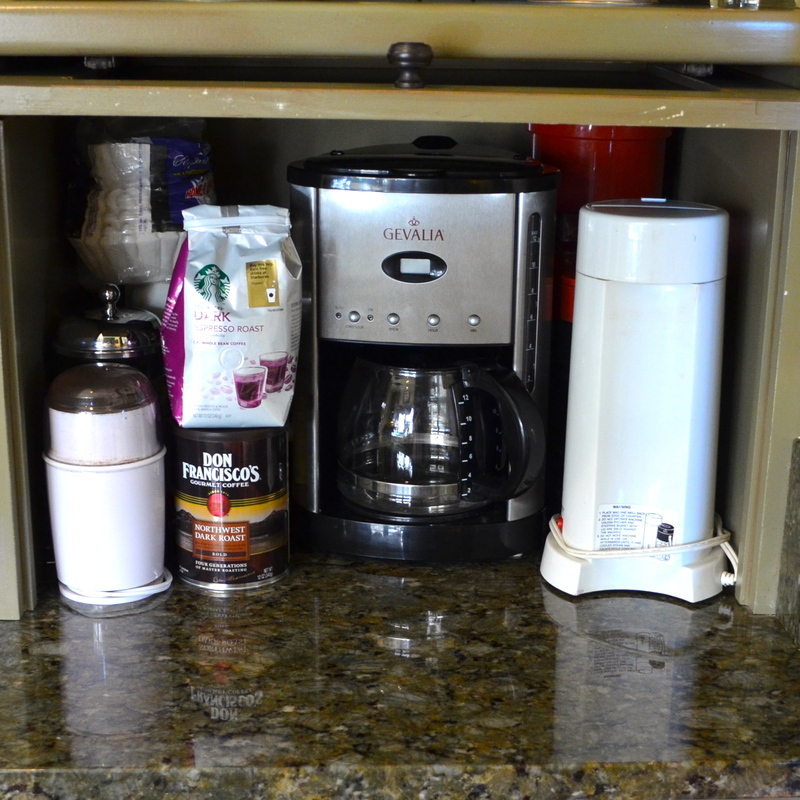 I use the Gevalia coffee maker to brew American style coffee when I have house guests that prefer it over my Cappuccino. Can you imagine that? 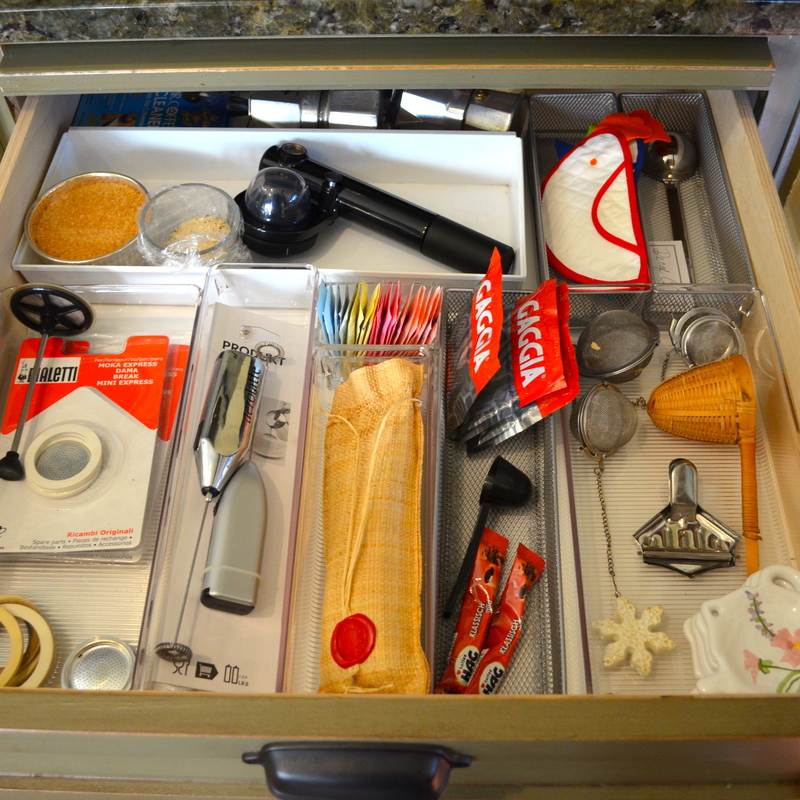 Actually, that machine gets very little use in my house. 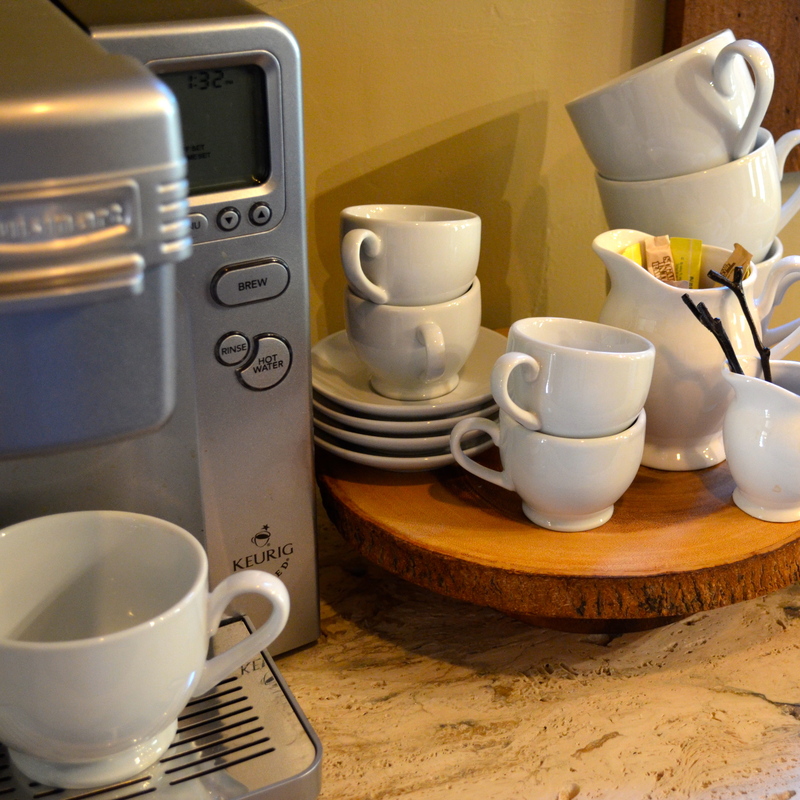 At my rental cottage, The Bird’s Nest, in Big Bear Lake, I have a Cuisinart Coffee maker, so my vacation renters can brew Keurig coffee pods and make a variety of teas, cider and hot cocoa. 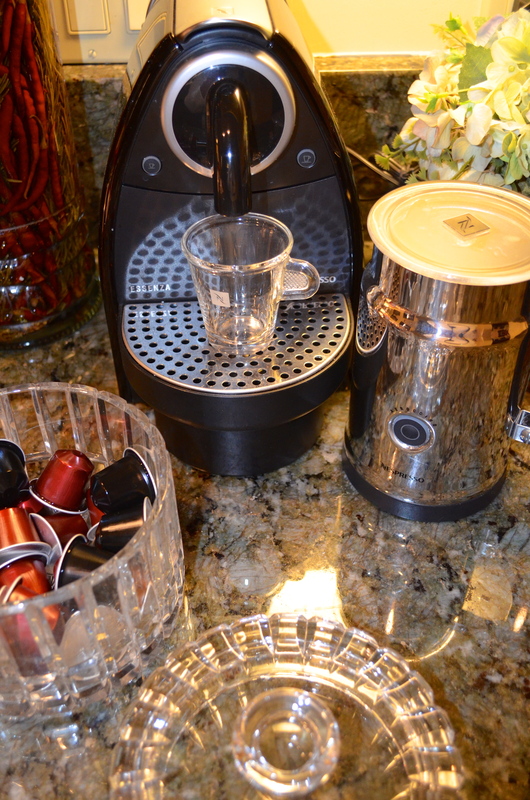 And at home I also have a Nespresso brewing system. I like to use this machine when I have company over for dinner and need to serve a whole bunch of espresso coffees real quick. This machine makes it easy to do so. 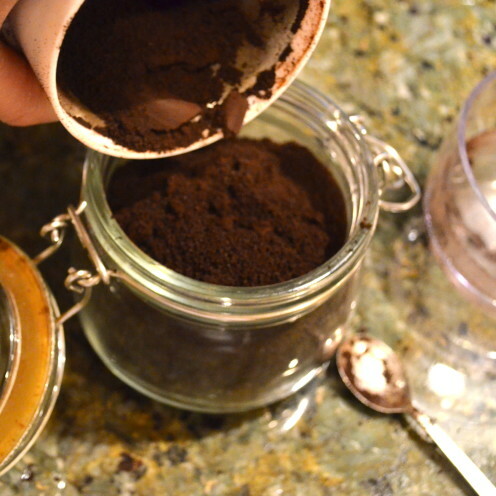 After dinner, I am usually serving decaffeinated espresso so I keep a big supply of the decaf capsules on hand. While I’m at it, I’d like to also point out that in Italy what I just showed you how to make is called Cappuccino. 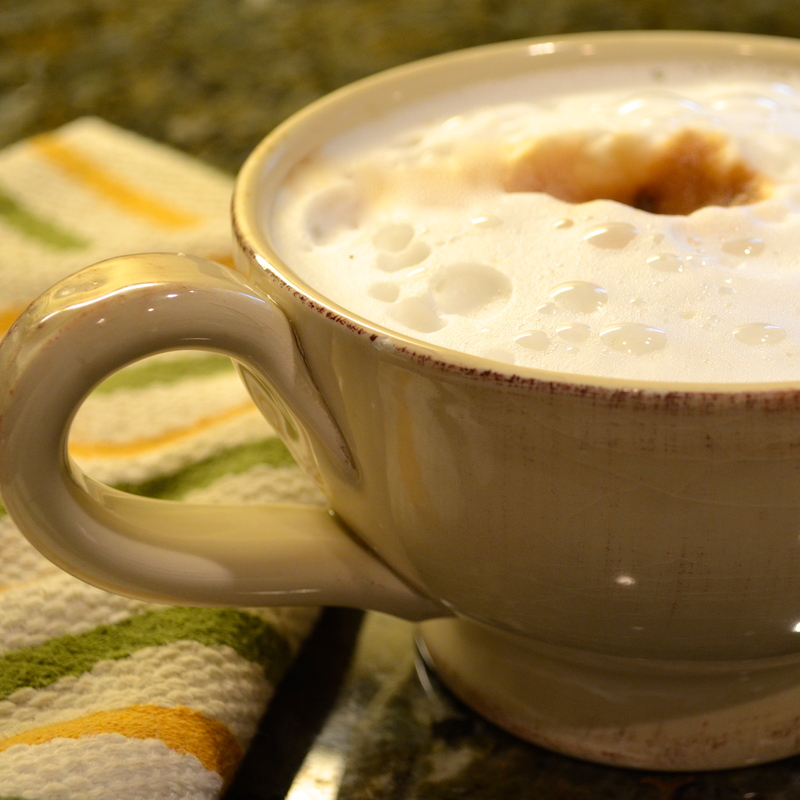 A Cappuccino is Caffé/Espresso added to foaming, steamed milk. Americans tend to confuse Cappuccino with Caffé Latte, which uses more milk and the milk is not foamed. In Italy, Caffé Latte is often served in a glass mug instead of the oversized ceramic mug that Cappuccinos are served in. Additionally, the word Latte in Italian means milk. So, when in Italy be careful not to order a “latte” as we do here in America or you will be served milk, sans coffee. In closing, I also wanted to give you some advice. If you happen to be in Italy and wish to order a Cappuccino or Caffé Latte, please do so only before 11:00am in the morning. To Italians it is sacrilegious to order coffee with milk past the morning hour. Had I known this on my first trip to Italy, I would have saved myself a great deal of embarrassment. I ordered a Cappuccino after dinner in a restaurant and the waiter actually refused to serve it to me. Moral of the story: When in Rome, do as the Romans do!